Want to surprise your mother… want to impress your girlfriend…want to seduce your husband again…. Look no further. 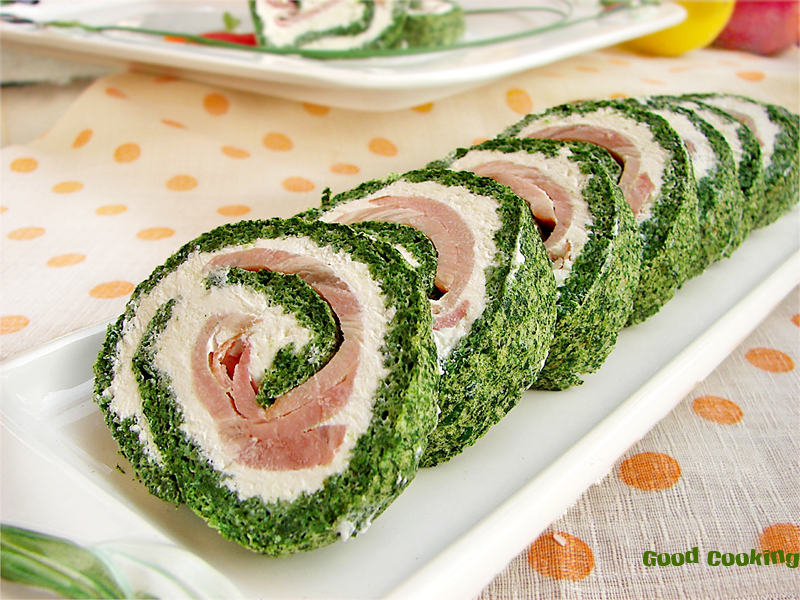 Spinach Roulade is your best shot. 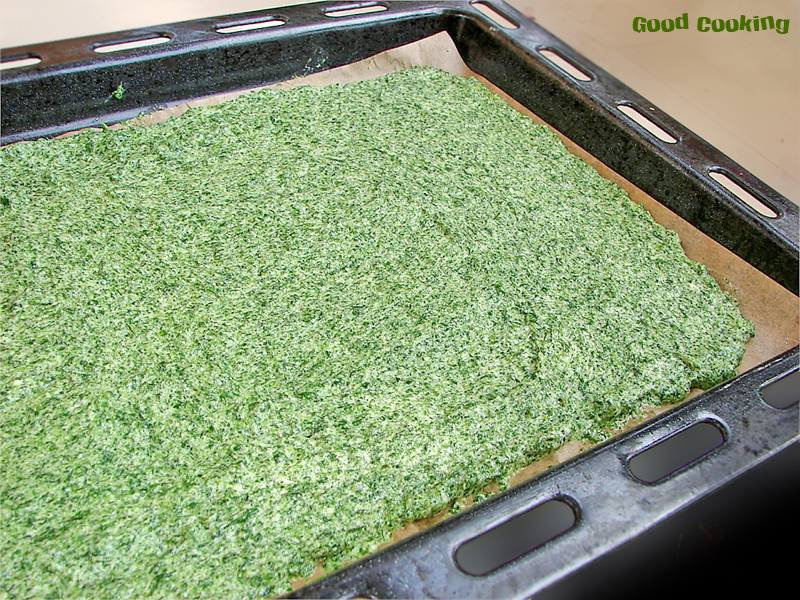 Rinse the spinach and put in a saucepan. Cover and cook for about 5 minutes until softened. Drain the spinach, squeeze all the water out and chop finely.Add garlic and dill. Season with nutmeg and salt. 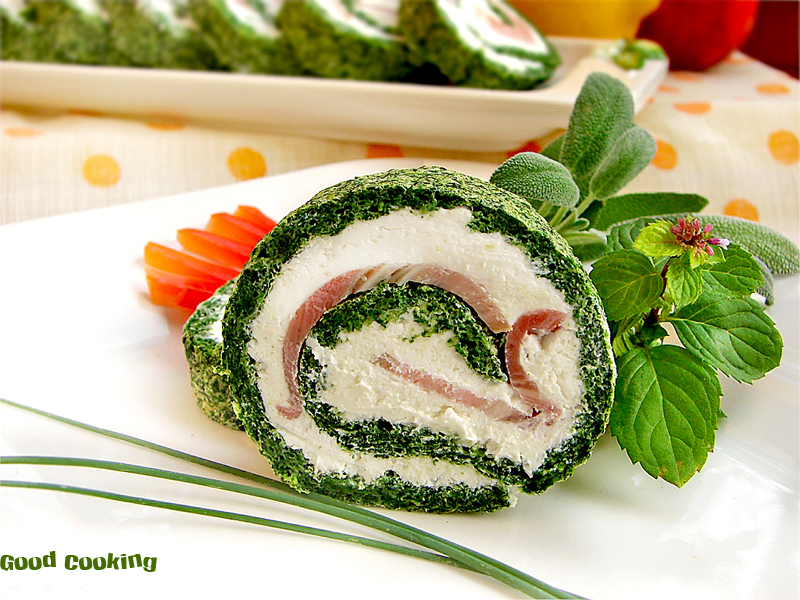 Whisk the egg whites until they are stiff but not dry and fold them into the spinach mix together with the corn flour. Pour this mixture into the roasting pan, spread it flat and bake in preheated oven at 180 * for 8-10 minutes. 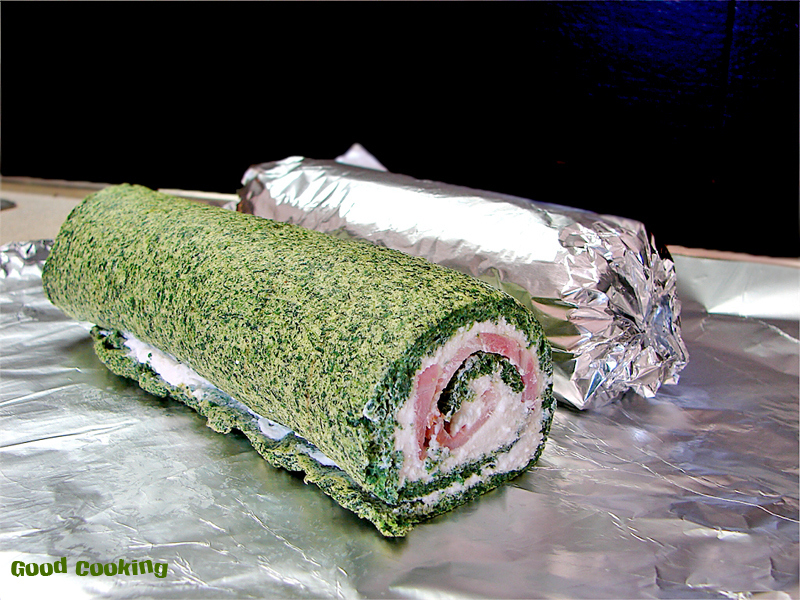 Once removed for the oven leave to coll down, but still warm roll up with the paper. Now allow it to coll down completely. Meanwhile blitz the cheese with a stick blender and add the yogurt to form a soft cheese spread. Unroll the mix and spread the cheese on top. 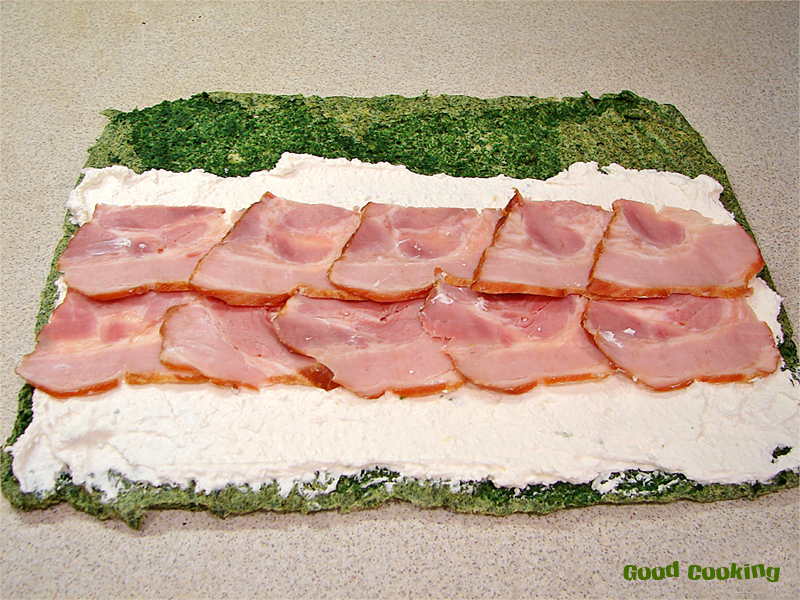 On top of the cheese arrange the ham and roll up everything back tightly. Freeze for 20 min. To serve, cut into 2.5cm slices.